This Meathead Hat is stitched in-house right here at Ironville. 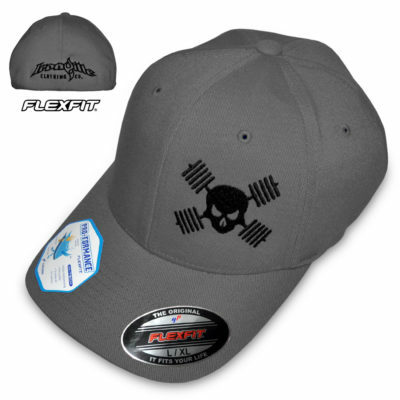 It is a 100% polyester Cool & Dry model from Flexfit ideal for bodybuilders, powerlifters, and all around weightlifters. It features ultra cooling honeycomb weave technology for sweat wicking comfort. At this time only the White stitch color image is viewable. Reference the Skull & Barbells hat if you would like to see what the other stitch colors look like. Thank you.